Delightful! Unless you hate snow, then it is frightful. 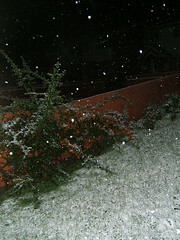 When I got up yesterday at 5.30am it had already been snowing for a while. There was a brief flurry of snow during the morning in London. As much as I love the snow, our trains are not able to run on sunny days, let alone anything else, so trying to get home from work on snowy days can be a nightmare. 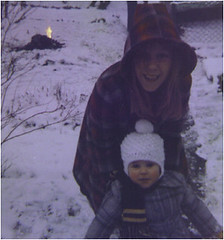 When I was small we used to have loads of snow over winter and it would last. Dad would have bonfires out in the snow it would stick around for so long. I'm hoping we get to christmas without any snow this year! !